Restriction of Flying Regulations for a Red Arrows display at Cromer, Norfolk on 17 August 2016. Details by NOTAM and in AIC M062/2016 on the NATS website. Restrictions also apply to the operation of all Drones. Restriction of Flying Regulations for a Red Arrows display at Weymouth, Dorset on 17 August 2016. Details by NOTAM and in AIC M062/2016 on the NATS website. Restrictions also apply to the operation of all Drones. Restriction of Flying Regulations for a Red Arrows display at Herne Bay, Kent on 14 August 2016. Details by NOTAM and in AIC M062/2016 on the NATS website. Restrictions also apply to the operation of all Drones. Restriction of Flying Regulations for a Red Arrows display at RAF Cranwell, Lincolnshire on 13 August 2016. Details by NOTAM and in AIC M062/2016 on the NATS website. Restrictions also apply to the operation of all Drones. Eastbourne Airspace Restrictions between 10 and 14 August 2016 (inclusive). Restriction of Flying Regulations for Airbourne 2016. Details by NOTAM and in AIC M045/2016. Restrictions also apply to the operation of all Drones. Restriction of Flying Regulations for a Red Arrows display at Eastbourne on 12 and 13 August 2016. Details by NOTAM and in AIC M062/2016 on the NATS website. Restrictions also apply to the operation of all Drones. The Airprox Board UK Director’s Monthly Short Report and Airprox of the Month for June 2016 focusses on glider site over-flights and maintaining situational awareness in the ATZ. Read the report on the Airprox Board’s website. Restriction of Flying Regulations for a Red Arrows display at Cowes, Isle of Wight on 11 August 2016. Details by NOTAM and in AIC M062/2016 on the NATS website. Restrictions also apply to the operation of all Drones. Restriction of Flying Regulations for a Red Arrows display at Falmouth, Cornwall on 10 August 2016. Details by NOTAM and in AIC M062/2016 on the NATS website. Restrictions also apply to the operation of all Drones. Culdrose Airspace Restrictions on 27 and 28 July 2016. 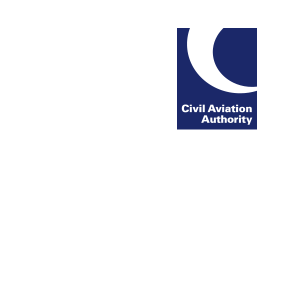 Restriction of Flying Regulations for RNAS Culdrose Air Show. Details by NOTAM and in AIC M011/2016 on the NATS website. Restrictions also apply to the operation of all drones. East Fortune Airspace Restrictions on 23 July 2016. Restriction of Flying Regulations for East Fortune Air Show. Details by NOTAM and in AIC M009/2016 on the NATS website. Restrictions also apply to the operation of all drones. Portsmouth and The Solent Airspace Restrictions between 22 and 24 July 2016 (inclusive). Restriction of Flying Regulations for Americas Cup 2016. Details by NOTAM and in AIC M043/2016 on the NATS website. Restrictions also apply to the operation of all drones. Sunderland Airspace Restrictions between 22 and 24 July 2016 (inclusive). Restriction of Flying Regulations for Sunderland Air Show. Details by NOTAM and in AIC M019/2016 on the NATS website. Restrictions also apply to the operation of all drones. Yeovilton Airspace Restrictions on 21 July 2016. Restriction of Flying Regulations for Capt Brown Commemorative Event at RNAS Yeovilton. Details by NOTAM and in AIC M063/2016 on the NATS website. Restrictions also apply to the operation of all drones.